The Personal Protection Training Program (PPTP) was founded in 1976 by personal protection professionals with extensive military, martial, and / or law enforcement experience. The original goal was to provide civilians / the general public with truly effective personal protection technologies and applications. Due to the collaborative efforts of volunteer personal protection professionals from around the world, the PPTP has grown into a highly regarded international program. The current objective is to enhance general public awareness and create a more secure environment worldwide. The PPTP applies a profoundly sophisticated and specialized methodology to the training curriculum and format that has no comparison in modern military, martial arts, or law enforcement. Training in this program involves the equal consolidation of weaponry, percussion, and grappling skills to be appropriately applied in multiplistic situations and realistic encounters. PPTP training sessions are conducted at various locations that are provided by state, local, corporate, and individual supporters of the program. Most training supplies and equipment are also provided by sponsors and supporters. The PPTP is always provided as a complimentary community service administered by licensed volunteers and qualified program assistants (PA). The program is designed so that experience is not required to participate. Training is strategically formatted to accommodate both skilled and inexperienced participants. The PPTP provides the most effective and comprehensive means of personal preservation for all levels of society in every culture of the world. 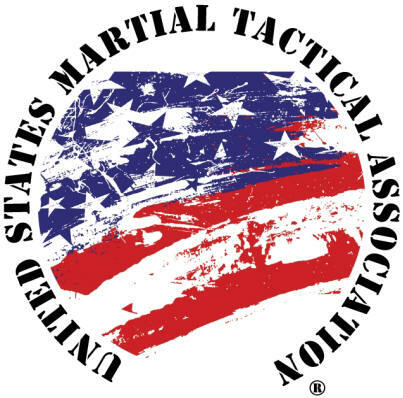 The PPTP is not a martial arts program and must not be compared to common martial arts and / or self-defense programs. Personal protection is a survival science that transcends substandard self-defense or martial arts programs. The PPTP applies a profoundly sophisticated and specialized methodology to the training curriculum and format that has no comparison in the modern martial arts. Unlike dilettante martial arts classes and self-defense programs, PPTP sessions are conducted under the guidance of licensed personal protection professionals. The Personal Protection Training Program is offered as community service and is complimentary to all who attend the training sessions. Participants must be 13 years or older to train. Experience is not required to participate. Training sessions are strategically formatted to accommodate both inexperienced and skilled participants. Frequent participation is encouraged; however, the specialized training format does not make it necessary that every session be attended in order to benefit. Other than frequent participation, one of the most beneficial training tips is to establish a stable support network of reliable training partners who are also training in the program. Those who wish to support or sponsor a PPTP can send a message. The very best way to support the program is to introduce other people to it and encourage them to attend the training sessions. Check back soon for the Personal Protection comparison chart comparing Personal Protection attributes to the subordinate self defense and martial arts programs.